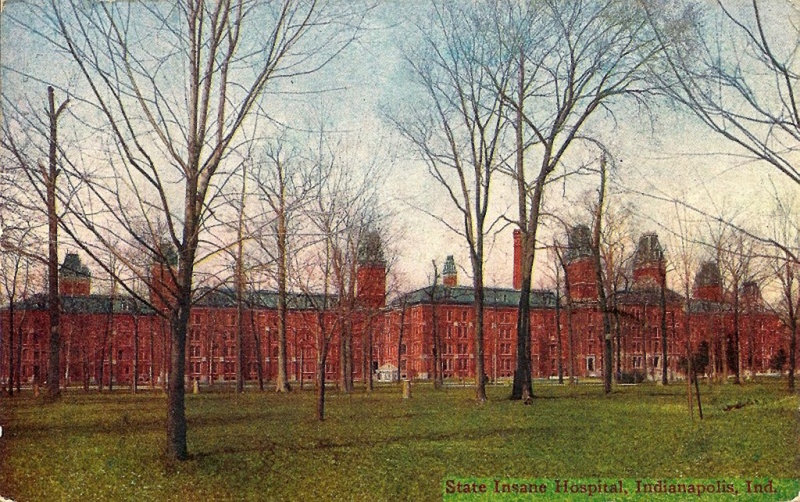 In operation from 1848 to 1994, Central State Hospital, Indianapolis, Indiana, treated and housed people who were mentally ill. This facility treated many patients over the years (housing nearly 2,000 at its peak) and generated many records, however there are still those patients whose lives and their final resting place has been lost. Somewhere on the grounds of the old Central State Hospital there are original four sections of a cemetery, possibly containing over 1,000 graves, predating 1905, whose location has been lost and forgotten. Many individuals with mental illness were placed in the State Hospital by the request of their families or the law - not by their own will. And those individuals who died and were buried on the grounds did not have families who wished to bury their remains. The fact that those who lived and died at the State Hospital were not worth to be marked, speaks about society's relationship to those who are mentally ill.
Gelarden, Joseph R. “Central State Hospital Unmarked Graves.” Indianapolis Star Indianpolis, IN: December 18, 1994.